It’s time to redecorate but what style of furniture do you want? Are traditional pieces more your style or do you prefer rustic? Maybe cottage style is perfect for what you have in mind? There are so many furniture styles available it can be hard to decide, and besides, what distinguishes each one? Here’s a handy guide to all the main furniture styles to help make your decorating project go smoothly. Contemporary furniture is a fluid style, reflective of current trends. One of the most popular, but perhaps hardest to define, furniture styles is contemporary — and for good reason. Contemporary furniture changes with times because it is meant to reflect elements that are popular at the current moment. Sometimes, the term “contemporary” is used interchangeably with “modern” but that isn’t necessarily accurate. A contemporary piece of furniture may include features from a number of other design styles. This is different from other categories because it is a fluid and shifting style. The look of contemporary furniture today may be completely different a number of years down the road. It also means that contemporary furniture styles can easily fit in rooms that are predominantly decorated in another style. Today, contemporary furniture usually features simple silhouettes that can be curvy or linear. The color palette is typically neutral, especially incorporating trendy hues such as shades of gray. While the materials used in this furniture style are variable, the pieces are generally clean-lined without a lot of ornamentation. Transitional furniture, like this chair from Post and Gleam, combines traditional lines with contemporary materials. Transitional style – now also called classic contemporary — is really a mélange of contemporary and traditional. The pieces may have the classic lines of traditional furniture, but the colors, textiles and finishes are modern. Many people love this style for its decorating flexibility, especially with regard to redecorating down the road. It’s also a natural choice for those who don’t think they fit one specific style, or who like more variety in their interiors. Transitional furniture styles create a room that is relaxed and inviting, predominantly with neutral tones, but not necessarily devoid of colors and patterns. The silhouettes can be varied: Maybe classic lines and a rich walnut finish combine with edgier stainless steel accents or stone elements. Warm, textural fabrics, such as velvet, linen or leather add another dimension to these pieces. 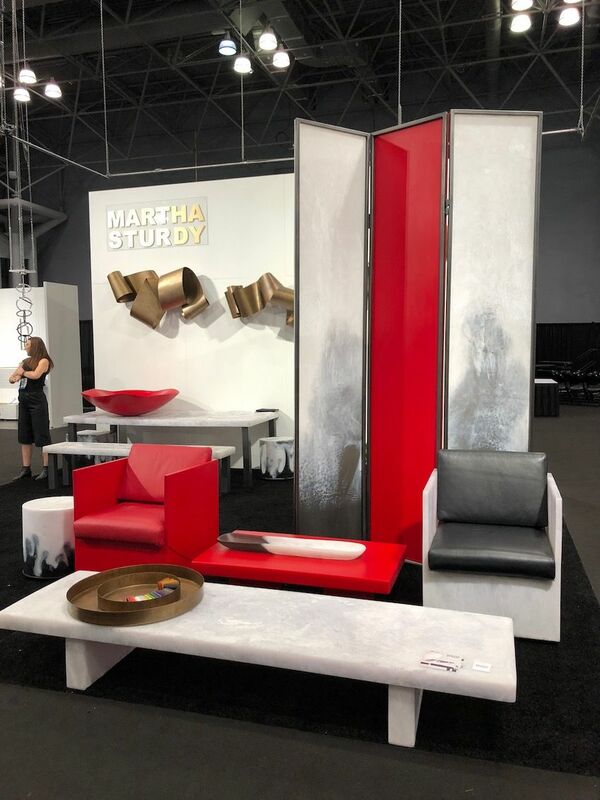 Martha Sturdy’s pieces have the clean lines and sleek look characteristic of modern furniture. Clean, crisp lines and streamlined silhouettes are hallmarks of modern furniture, as are basic color palettes that are not contrived. The look is about as different from traditional as it can be. While some people find the overall sleek look, with its metal and glass accents, to be “cold” others appreciate the simplicity and uncluttered appearance. The color palette in a modern interior tends to be neutral, often black and white, perhaps with a bold pop of color. The finishes in this furniture style often include plenty of high-shine elements. Leather is a common upholstery choice and all the pieces have very little ornamental detailing. 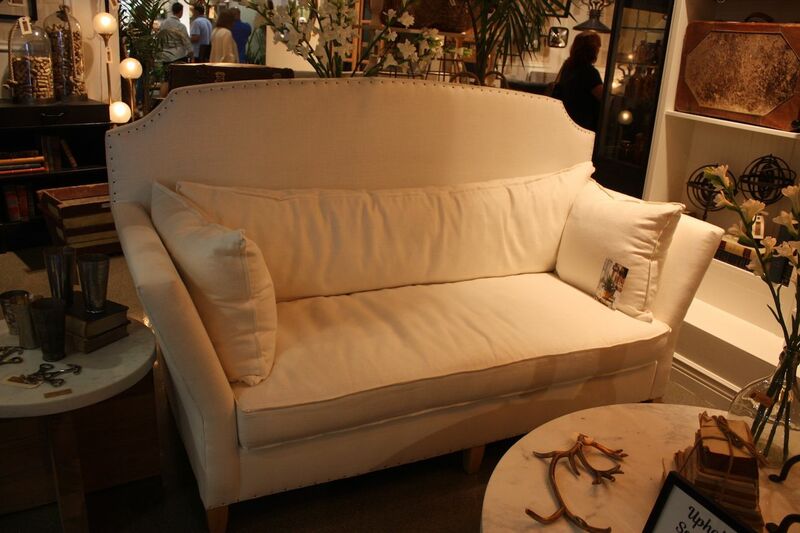 This sofa by Epoca is traditional. Classic shapes, lots of dark wood and rich colors are typical of traditional furniture styles. These pieces have a good deal of detailing and a sumptuous, if conservative, feeling. Reminiscent of European styles, traditional furniture has a classic silhouette and curved lines, often incorporating wing backs, claw feet, and Queen Anne style detailing. The textiles used for upholstery are rich velvets and brocades, as well as damask or cotton. Overall, traditional furnishings have a refined and dignified feel that some people consider to be a little “uptight.” The style, however, is ultimately comfortable and the rich colors and elaborate floral and striped prints often used in traditional home styles’ furniture appeal to many fans of classic style. 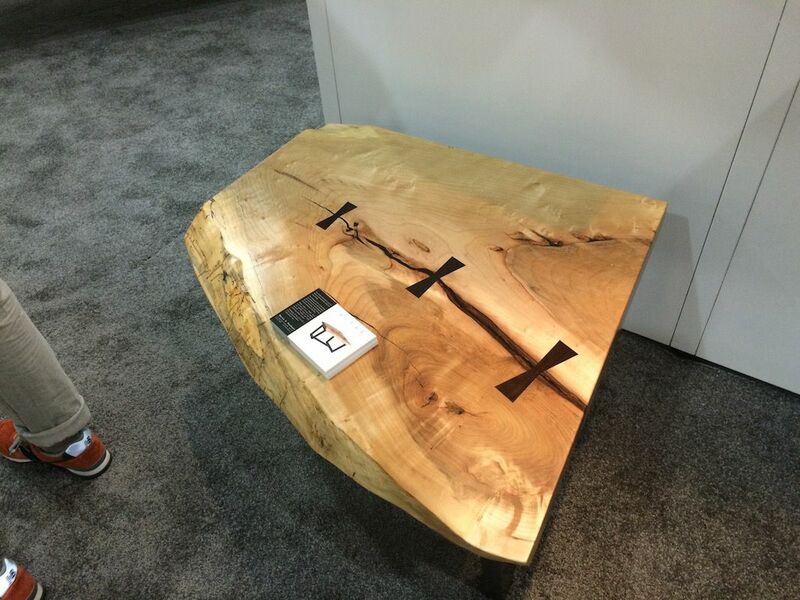 This live-edge table by Martin Vendryes is a rustic piece. Inspired by nature and the beauty of raw elements, this is one of the furniture styles that takes its cues from the great outdoors. Old-style, even pioneer-like designs are common, with logs, planks and natural-state wood being prominent features. 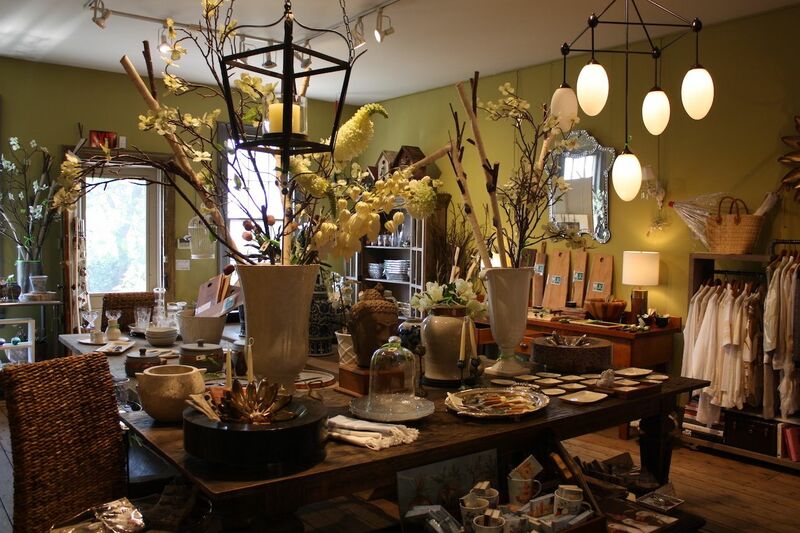 Part of the appeal of the rustic style is the warmth and casual vibe it gives off. This has also lead to a rise in popularity of live edge furniture that spotlights the natural look of wood pieces, as well as furnishings made from reclaimed wood and naturally downed trees. In many cases, the flaws in the wood are transformed into desirable features by talented artisans. Those who appreciate nature and prefer a casual interior will likely be drawn to rustic furniture styles. Palecek’s slip-covered sofa is ideal for a cottage style space. Cottage style furniture is the epitome of relaxed and casual décor. Often, it’s a marvelous mix of colors, patterns and textures that come together in a room that is, above all else, comfortable. 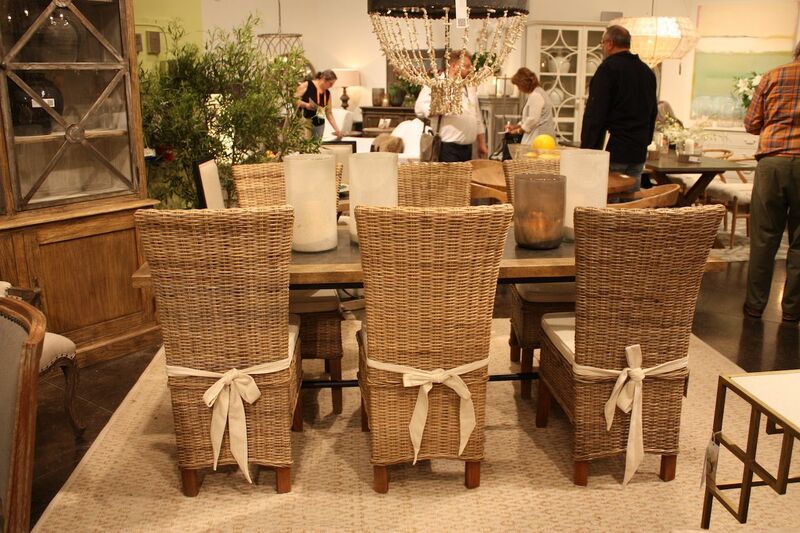 This furniture style incorporates wicker items with painted pieces, and items like farmhouse kitchen tables are key. These can be brand new furnishings or distressed used items. Upholstery choices in this style tend to be cottons, linens and other casual fabrics in florals and stripes. The textiles generally stick to a light and airy color palette. Cottage is one of the furniture styles where it is easy to express your personality because of the mix-and-match vibe, especially if you’re on a budget because it’s perfect for mixing in bargain used pieces. Peacock Park’s daybed sofa has the vintage feel that is shabby chic. One of the furniture styles relates to the cottage trend is shabby chic. Inspired by vintage style, budget-minded and driven by the repurposing trend, shabby chic can be eclectic or even bohemian in flair. This style also leans to the feminine side of the spectrum, as cottage style also tends to do. The pieces in this furniture style are also generally painted, and more often than not are distressed. The color palette of the furniture is heavily neutral with white and light cream colors being the predominant hues. Accent colors are confined to the pastel range. Décor of this type makes great use of upcycled pieces like crates, bottles and glass items, which complement the feel of the furniture. This too is a great furniture style for the budget-conscious because of the upcycled look. The inspiration behind this style needs little explanation: The Tuscany region of Italy has a warm romanticism that is expressed in furniture that sports plenty of scrollwork, straight-line silhouettes and aged finishes. The types of wood used are generally dark in color. Natural, earthy colors are the hallmark hues of Tuscan style, particularly terra cotta, golden yellows and earthy greens. Patterns are intricate not only in the woodwork on these furnishings, but also on the upholstery: Scrollwork, and lively accent patterns are common. Although the detailing may be ornate, this is one of the furniture styles that is very comfortable and definitely not prim and stuffy. 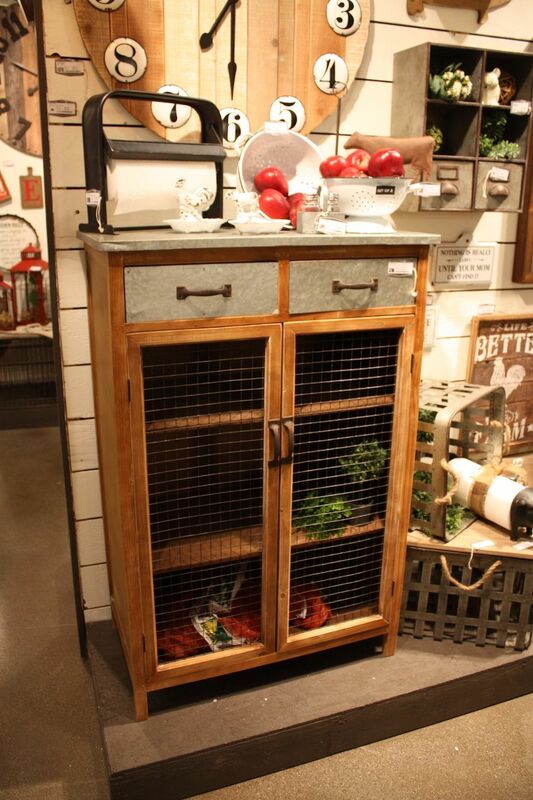 Cabinets and armoires are trademark piece in this style and can be incorporated in any room. 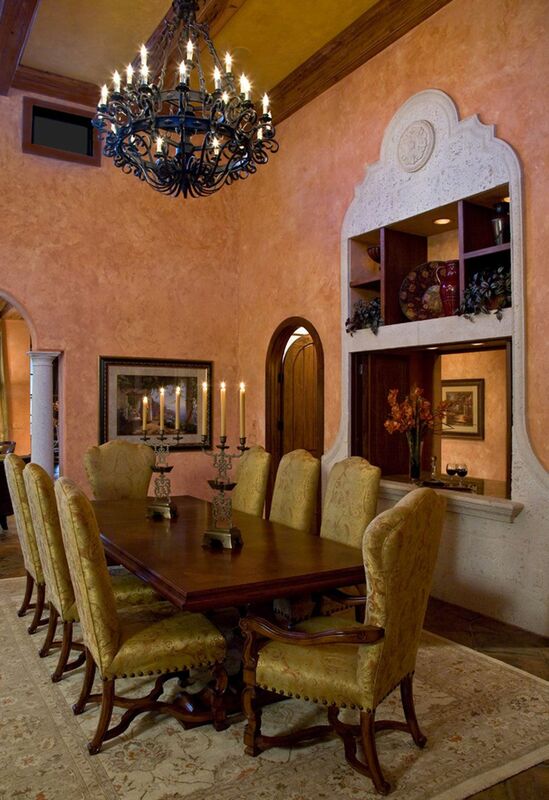 If your kitchen is Tuscan style, then you can’t do without a long, rough-hewn wooden table for your family dinners! Sunbursts are a common motif in art deco furniture. 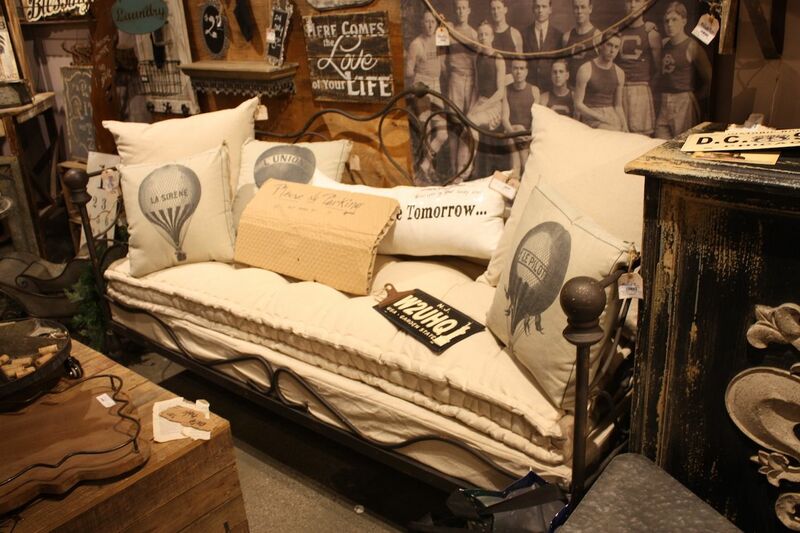 The bed is by Christopher Guy. 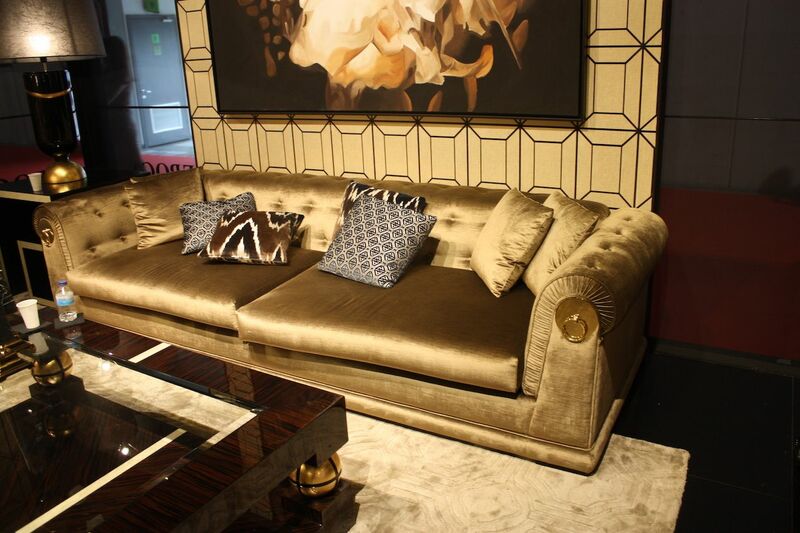 Highly glamorous and chic, the art deco furniture style came about in the early 20th Century. It has distinctive lines and silhouettes that are just as popular today as when it first emerged. Art deco style furniture makes great use of repetition and incorporates geometric shapes and patterns, including zigzags and chevrons. Motifs like sunbursts fans, vines and flowers are common in these furnishings, which are often highly polished and shiny. Materials used in the pieces can include chrome, enamel and glass. Even wood pieces will incorporate metal accents, mirrored tops, or inset crystal accents. With regard to the color palette, the hues used will be bold and rich, not pastel. Emerald green and red are frequent colors in this style of furniture. 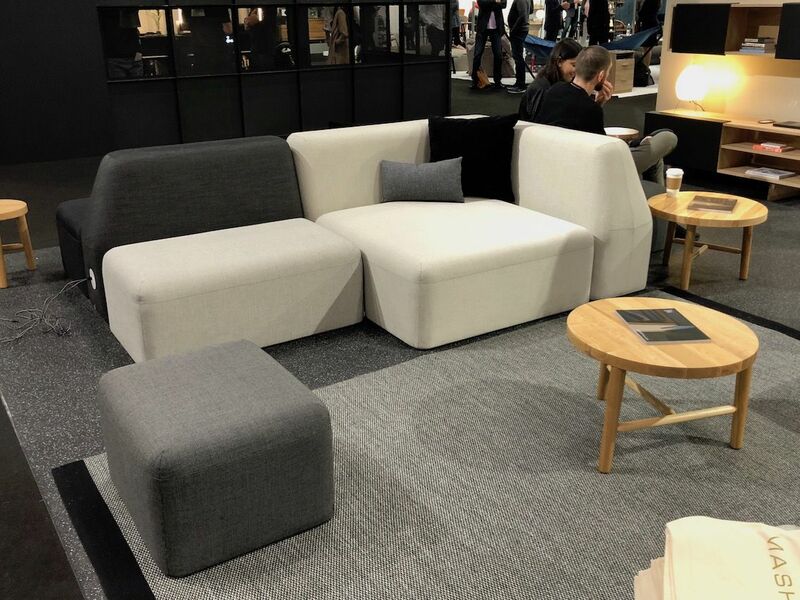 Minimalist sofas are often modular. Pared-down modern design is a good way to describe the minimalist furniture style. Clean lines and a major emphasis on functionality define this type of furniture. It is also devoid of ornamentation or complex patterns. Logically, the color palette for minimalist furniture is neutral and understated. Despite being pegged as furniture style that is cold and uncomfortable, today’s minimalist pieces have a softer edge and incorporate more touches of texture and nature. In fact, the growing popularity of minimalist furniture styles has led to a growth in Asian-inspired pieces that also highlight clean lines and an emphasis on functionality. 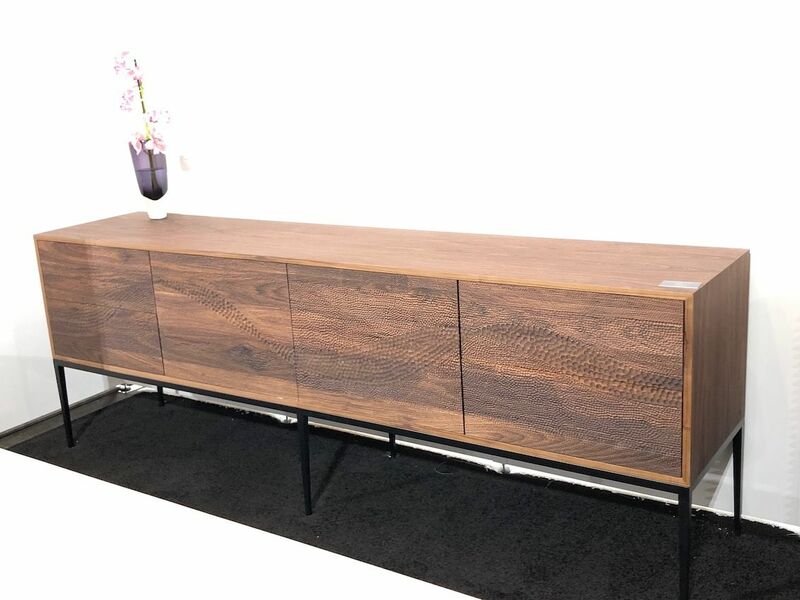 Cabinet’s credenza has the lines typical of a mid-century modern piece. Mid-century-modern furniture styles are still popular today for many reasons. The characteristics of this style make it a perfect fit for today’s contemporary, modern and eclectic home interiors. A connection to Scandinavian minimalism and the incorporation of natural materials are a core feature. These pieces have clean lines, curves, and smooth surfaces. There is no excess. The materials used in these furnishings are often a combination of different or even contrasting materials. Plywood, metal, glass, vinyl, Plexiglass and Lucite all made their appearance in furnishings of this style. The color palette is known for bold pops of bright, sugary colors, even in the furniture and most of the upholstery was in solid colors, save for a few graphic prints for accent pieces. 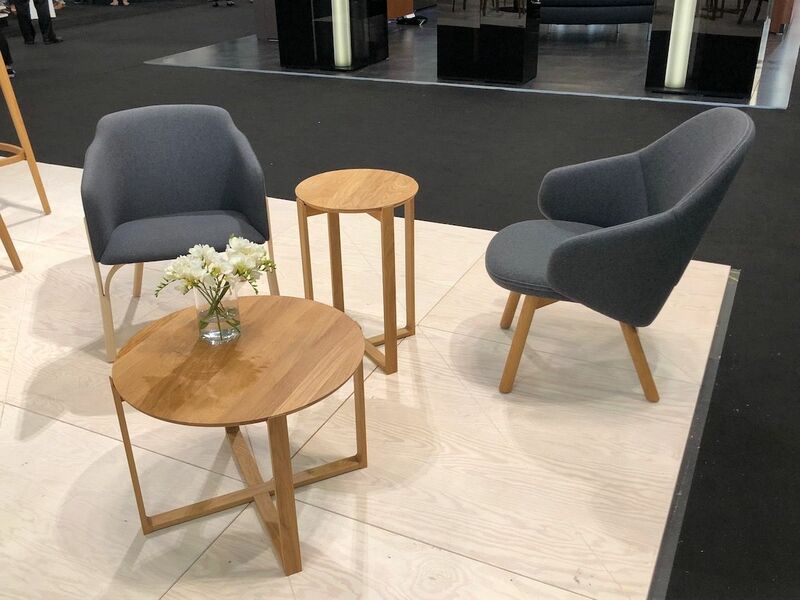 Finally, with mid-century modern furniture styles, form definitely follows function: A lot of the furniture was built with the aim of being stackable, foldable and interchangeable. Dovetail’s living room is done in an eclectic style. The rule for this furniture style is that there are no rules. It’s a freewheeling style that mixes and matches with abandon. It’s ultimately casual and budget conscious because varied pieces of furniture can be mixed together. Often, disparate furniture pieces can be creatively paired up. 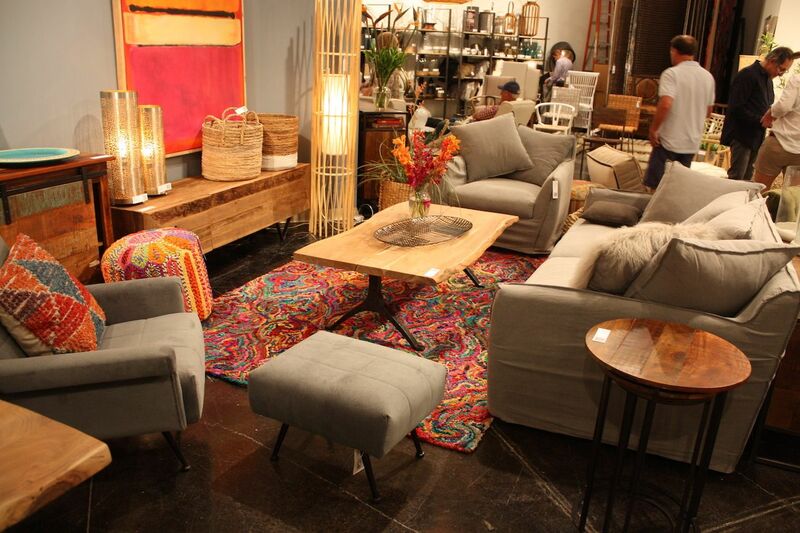 It’s easy to mix globally inspired furnishings with a glam piece and flea market bargains. 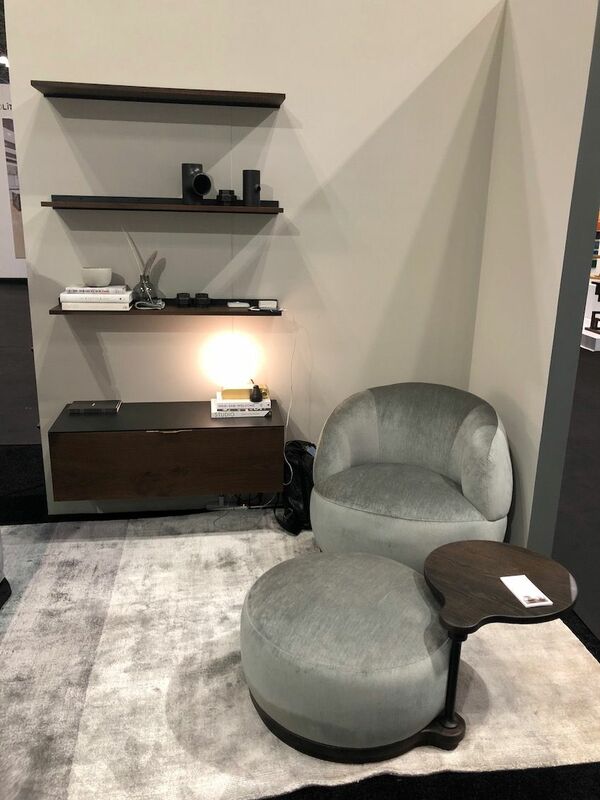 This is a furniture style that is highly creative and expressive, perfect for those who really want to have an interior express all their diverse personal favorites. Coastal style furniture has a free, easy and relaxed vibe. 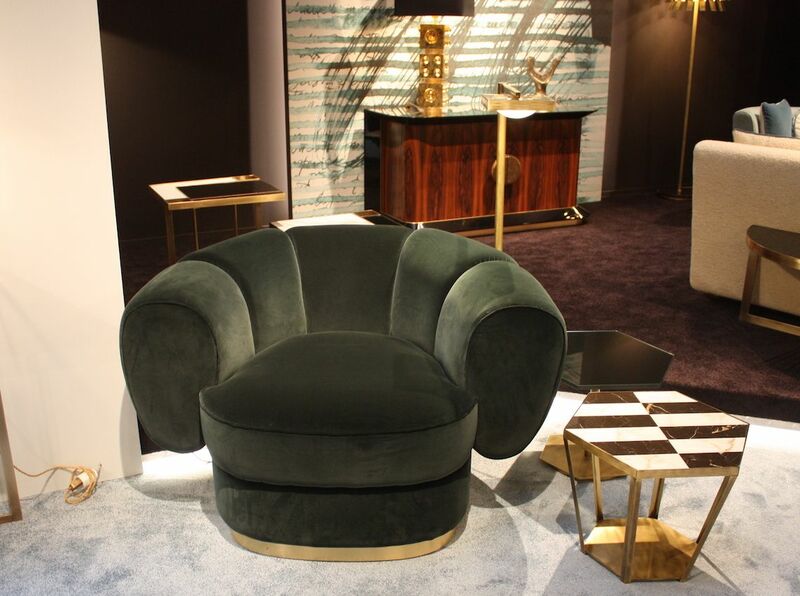 This glam chair has sumptuous velvet upholstery and a gleaming metal accent. 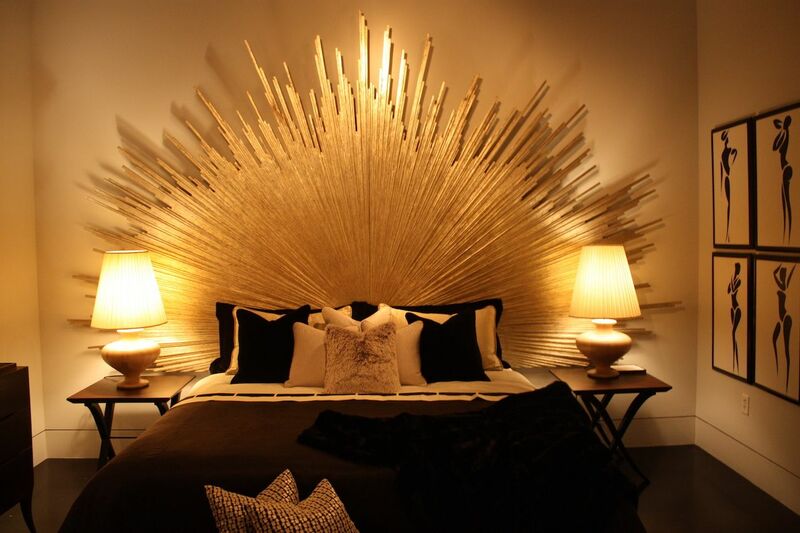 Ultra-luxe and over-the-top, this furniture style is a definite statement maker. Sometimes called Hollywood Glam or Hollywood Regency, it’s full of bold color and opulent textiles. Glam furniture pieces feature plenty of shiny finishes like mirrors and metallics. Upholstery fabrics are animal prints and jewel-toned velvets, brocades or silks, which might have plentiful tufting. Their lines may be curvy but also include clean lines, like those found on a tuxedo sofa. These furniture styles are ideal for a boudoir-like bedroom or a dramatic living room. Country style furniture looks like it came out of a farmhouse. Hand-crafted and sturdy, country furniture styles are homey and comfortable. Today, these pieces may also be labeled as farmhouse style. With country furniture, ornamentation on the wood is limited to turned elements, such as legs and spindles. This style has not glitz, glam or metallic elements. The shapes are basic and the finishes simple, such as natural wood or whitewashes. 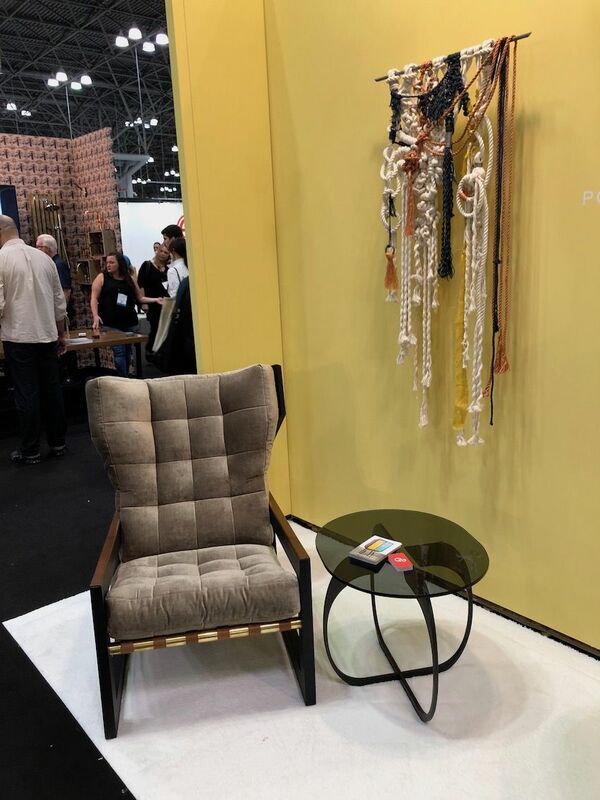 That doesn’t mean that country pieces can’t become iconic: The Windsor chair is an example as this style of chair is among the more widely recognized silhouettes for wooden chairs. Upholstery in country furniture styles is not opulent or fussy and textiles are usually small florals, checkerboards and modest stripes. The overall color palette for these pieces is white or off-white. A large dining table is de rigeur for a French Country dining room. Another twist on farmhouse style is French Country style furniture, which obviously has its roots in the European country of its name. Earthier than its American counterpart, French country style uses a palette reminiscent of the Tuscan one: soft hues like brick red and golden yellow pair with natural materials like wood, stone and brick. The individual furniture pieces are more ornamental than American country furniture styles and usually have a well-worn look. Textiles are cottons and linens, some with ornate French country prints. It’s a warm yet sophisticated choice for a casual interior. 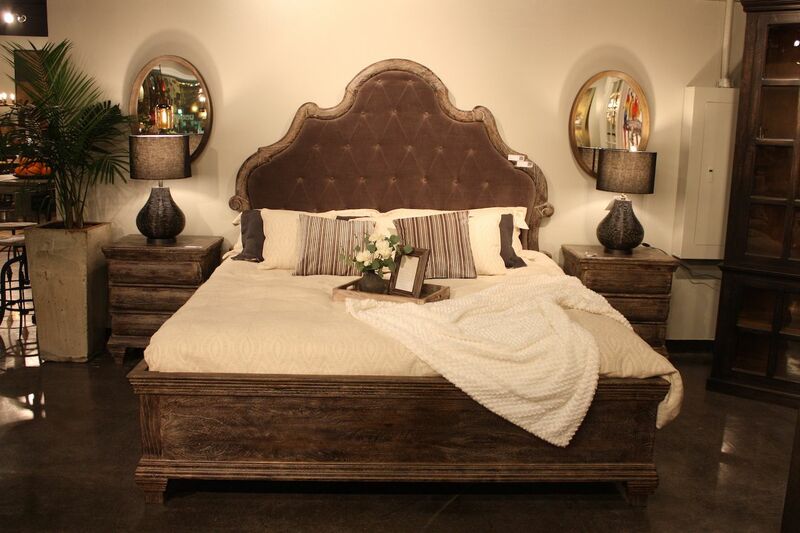 French provincial pieces combine rustic wood with ornate shaping. Very popular among furniture styles, French Provincial is inspired by French provinces in 17th and 18th century France, especially Bordeaux, Brittany, Normandy and Provence. The draw of these pieces is that they are somehow lavish and laid-back at the same time. This type of furniture is usually distressed and painted or stained in a palette of colors that includes white and muted shades of deep red, gray and blue. The wooden furniture often includes ornate carvings and curved legs. Other materials used include wrought iron, marble and natural stone. Textiles are damask or linen, embellished with floral motifs or intricate designs. French provincial furniture styles make for a casual, distinctive and ultimate very comfortable interior. 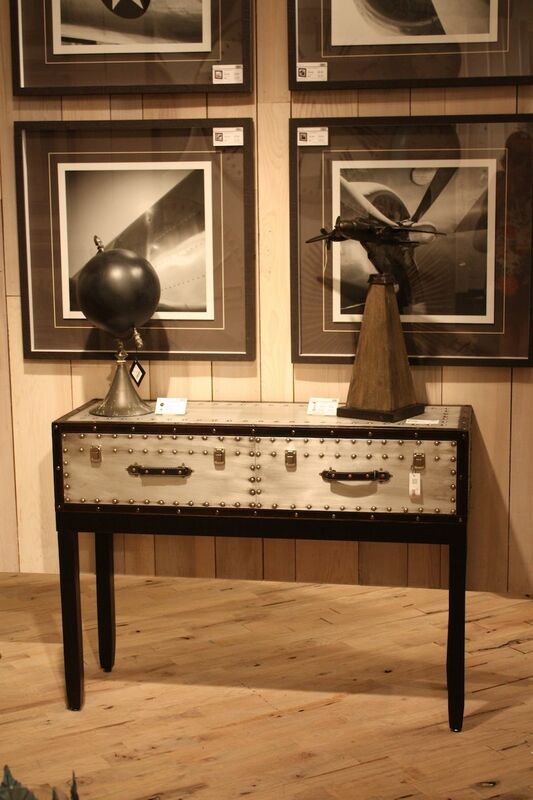 Industrial pieces like this console from Mercana can be new reproductions or upcycled factory items. Inspired by the lofts that urbanites started calling home decades ago, industrial style furniture styles have a number of defining characteristics. Each piece conveys a sense of being slightly unfinished. Not only do industrial interiors feature raw elements such as exposed brick and pipes, industrial furnishings often do as well. Many are made from repurposed industrial elements combined with reclaimed wood pieces. Industrial furniture has a factory vibe that is masculine and rough yet chic. Silhouettes are clean-lined and functional. Ornamentation comes from the industrial elements that might be incorporated into a piece: old cogs, table bases from factory parts or stools made from machinery sections are typical. New industrial furnishings will be distressed to look old. Moreover, industrial pieces can be mixed with modern or minimalist elements for a unique interior. Simplicity and durability are key in Scandinavian designs like these from TON. Inspired by simplicity, Scandinavian design focuses on minimalism, functionality and quality, all hallmarks of furniture designed in the Nordic countries. Understated and lasting, these pieces are designed for durability, meant to be handed down through the generations. Made from materials like solid wood, form pressed wood, steel, aluminum and plastics, each piece is designed to be used. These pieces have no frilly ornamentation and the function is just as important as the clean lines. The woods used are light in color and the textiles used for upholstery are natural or embellished with graphic designs – think Marimekko. Scandinavian furniture styles are very versatile and can be mixed into many existing décor styles. The post Furniture Styles that Express Your Taste and Make a Beautiful Home appeared first on Home Decorating Trends – Homedit.